Just as the name implies, topics are organized in an easy-to-use alphabetized format, making it not only an excellent research source, but the perfect take-along guide. 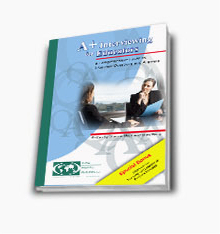 Drawing upon their own personal experiences within the world of international teaching, the authors offer practical and pertinent advice useful to the novice or veteran educator that covers, well… everything from A to Z! Topics covered include: housing accommodations, up-to-date and country-specific information on visa procedures, important cultural nuances and taboos to side-step, even what you need to know when traveling with young families, as well as everything in between. Written in a breezy, conversational style, The A-Z’s for Teaching Overseas is as delightful to read as it is informative. Shanna and Greg even offer special tips or “Great Ideas” sprinkled throughout that are thoughtfully designed to make your new teaching adventure as rewarding as possible.